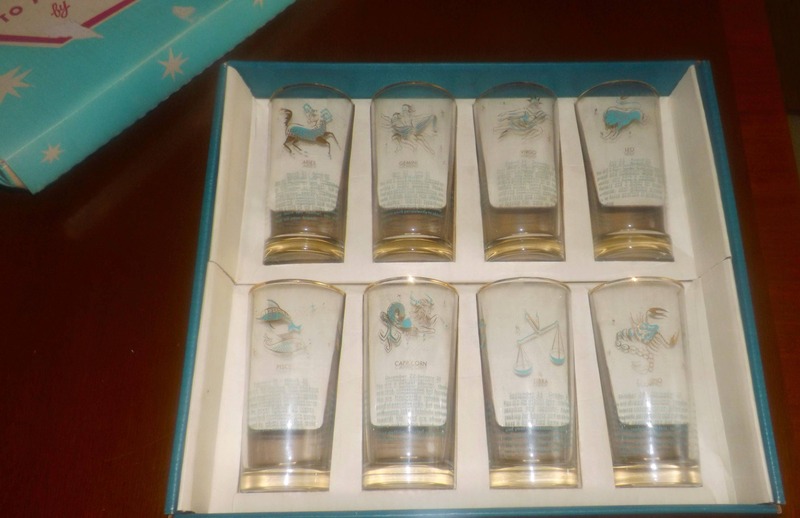 Early mid-century (late 1940s) Dominion Glass Co. Canada boxed set of 8 signs of the zodiac tumblers, turquoise, gold rims. 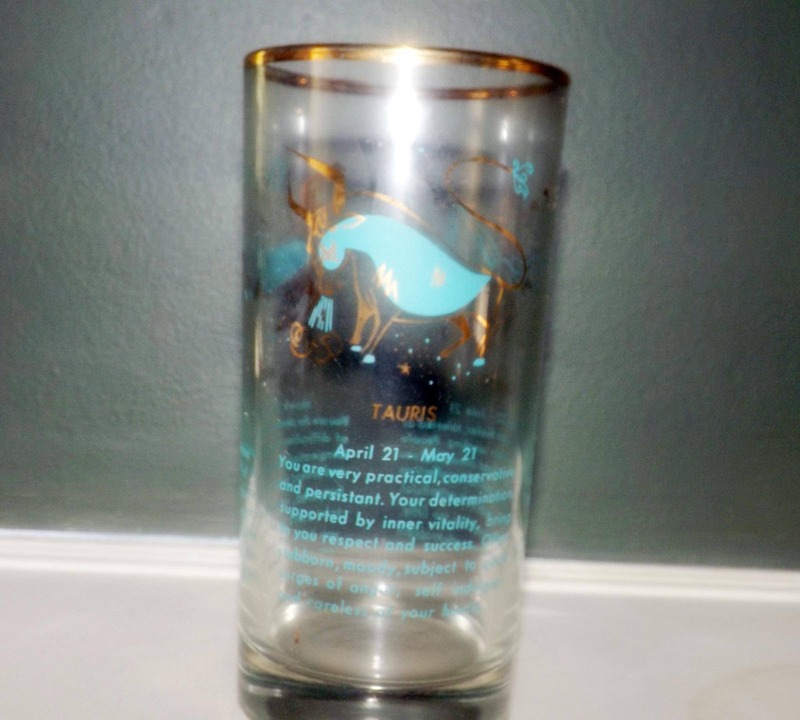 This is a fantastic boxed set of 8 tumblers featuring all the signs of the zodiac in turquoise with a brief descriptive passage of astrological traits all ETCHED into the glass. 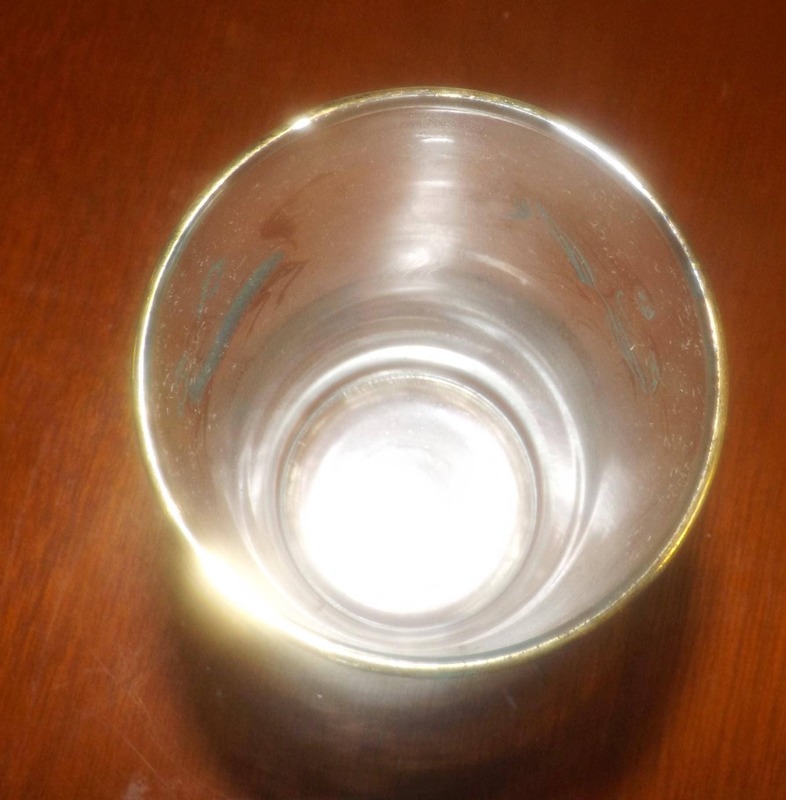 Glasses have a smooth, gold rim. 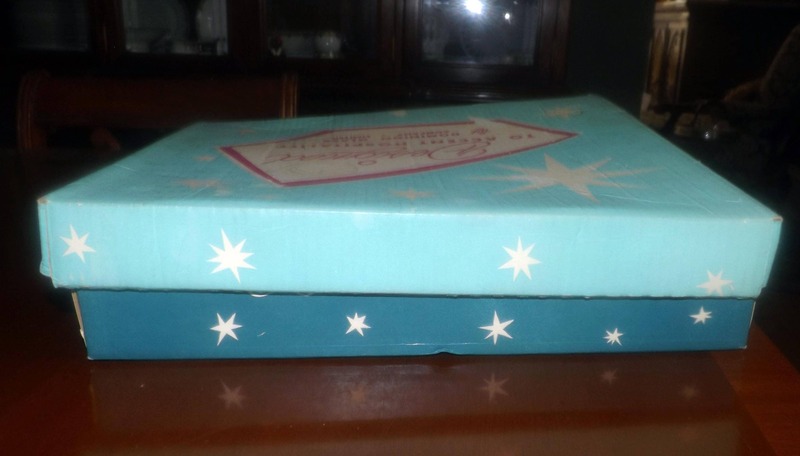 In EXCELLENT!, boxed and UNUSED! condition with NO! chips or nicks, NO! loss to the smooth, gold edge and NO! marks or stains. 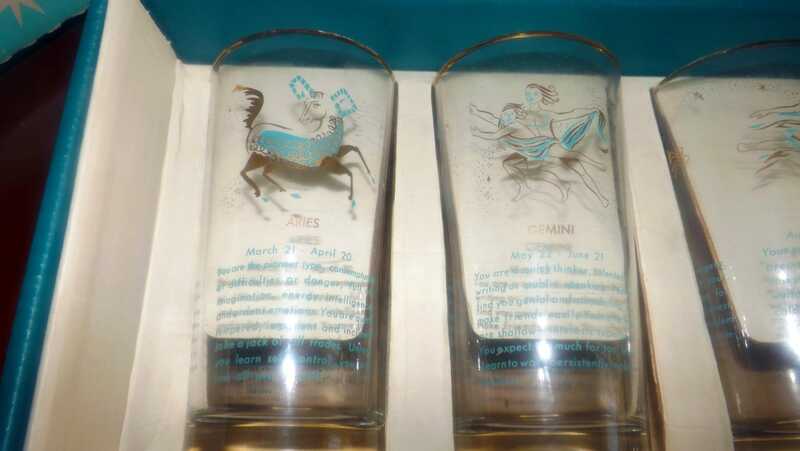 There are some scratches to the BASE of the glasses and there are finger prints indicating the glasses need to be washed. Please note we DO NOT! 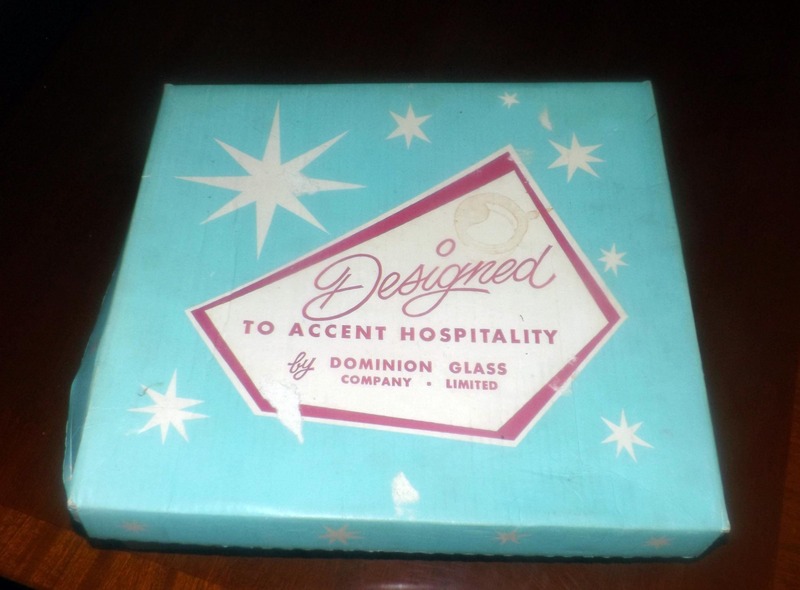 touch-up or clean vintage glass items. The etched wording and imagery virtually eliminates the chance of wear | rub over time so the imagery and text remains fresh throughout the ages! 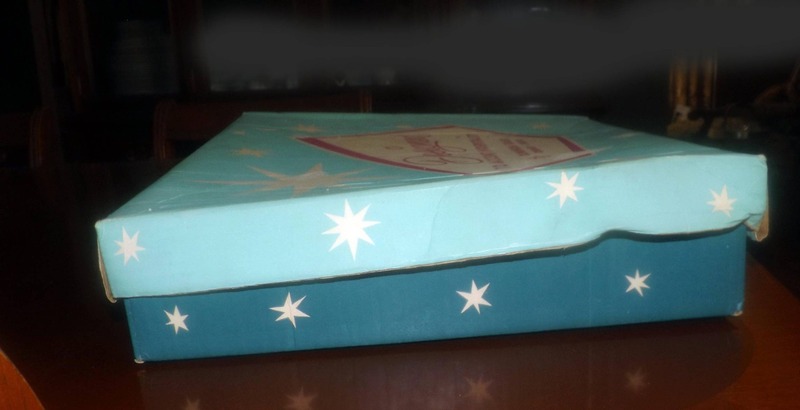 There are some signs of age to the original box, some wear to the corners and edges and a stain to the box lid (please review each of the posted photos for a complete visual of the items and box). The box has NO! 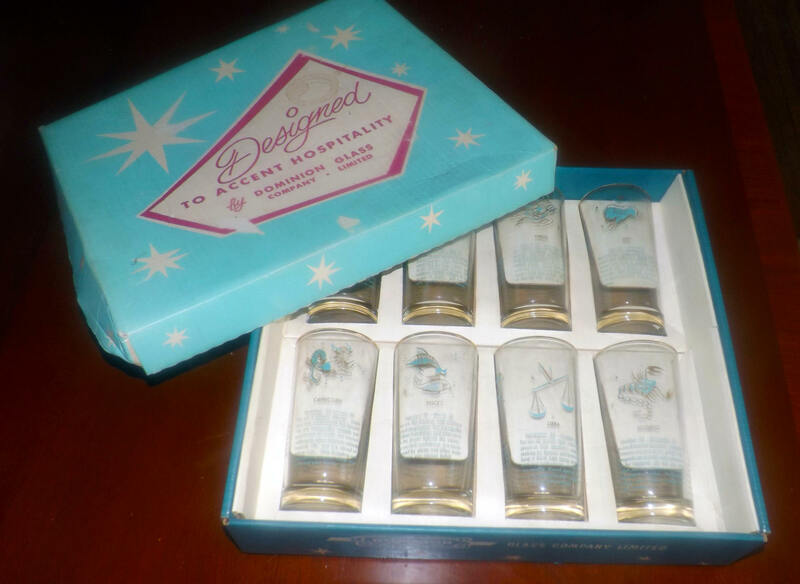 broken or split corners and the original box inserts to hold the glasses in place are here to ensure they can be stored safely when not in use. 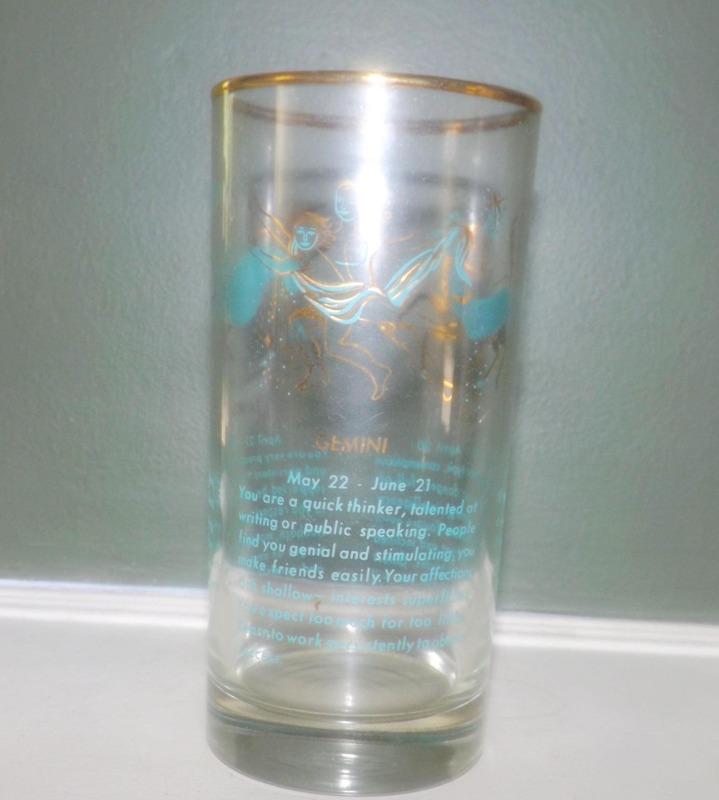 Approximate measurements: Each tumbler stands 6-1/2" with a 3-1/2" diameter bowl, a smooth gold edge and etched text and imagery. 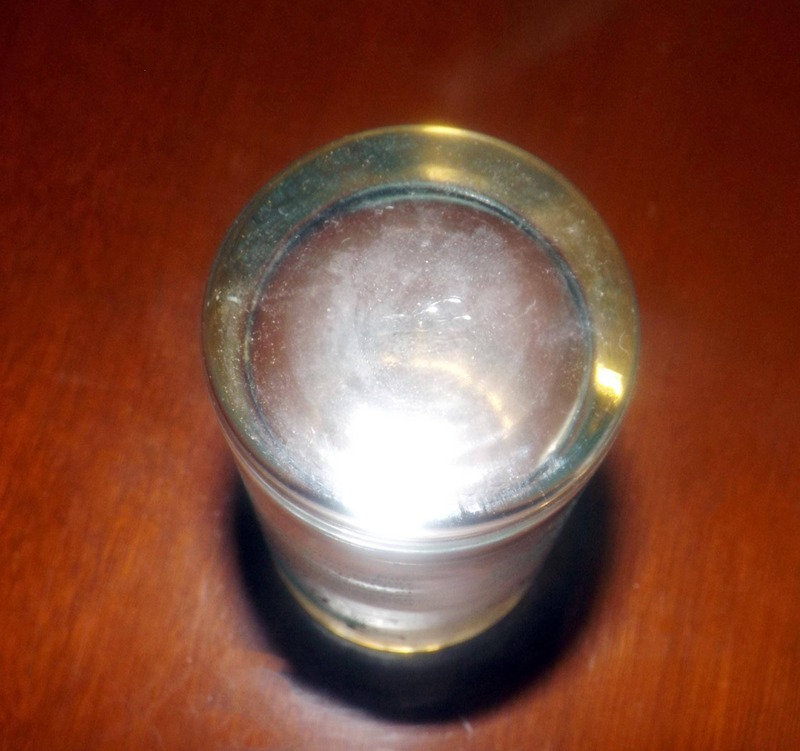 Estimated capacity of each glass is 12 US fluid ounces.